A warding Russia the right to host the World Cup in 2018 was, in fact, the best outcome. Fifa’s decision, amid claims and counter-claims of corruption, puts Russia on the spot once and for all to clean up its reputation. However the decision was arrived at, the reality is that Russia’s reputation as a “difficult” market has reached an all-time low. Official figures suggest that corruption in government tenders costs the government 1 trillion roubles (£21bn), or 20pc of the money spent, every year. Many major corruption cases are ignored or remain unresolved, and variations of fraud, bribery and extortion are common in everyday life, suggesting that corruption remains prevalent throughout the economy. Russia recently slipped a few notches to 154th place (of 178) in Transparency International’s Corruption Perceptions Index. But there are forces at play that will shine light on the murky waters of the Russian business environment and government in the eight years leading to the World Cup. Internationally, the willingness of governments to tolerate corruption is diminishing. Over the last few years, the US has used the Foreign Corrupt Practices act to prosecute several multinational companies operating in Russia. Getting it wrong has entailed huge fines for the companies, losses of reputation, business and legal expenses, and even the risk of prison sentences for the senior executives involved. And the international legislative environment for companies in Russia is only likely to get tougher. This year’s Dodd-Frank Wall Street act in the US provides for increasing incentives for whistle-blowers – as much as 30pc of amounts recovered. And in April 2011, the new British Bribery act comes into force, making companies liable for “failure to prevent bribery”. Domestically, Russian law is changing too. President Dmitry Medvedev has spearheaded an anti-corruption drive. Next year, Russia is likely to sign the OECD’s Anti-Bribery Convention, and join the same global economic forum in advance of its accession to the WTO. This commitment to global standards will, in the longer term, entail the government introducing more effective anti-corruption laws, as well as reforming law enforcement agencies to ensure effective implementation. A change of culture will also likely occur that will begin to squeeze corruption. Obliged to adhere to the best international standards, the multinational companies bidding for contracts in the 2018 World Cup will have an important role to play in setting the best example of resisting the temptations of corruption. Their willingness to step away from a deal if the conditions are not right will be important, as will their experience of devising effective compliance procedures, such as internal codes of conduct and employee training, and discovery procedures such as internal audit and whistle-blowing. After the suspicions of foul play in the selection process, the World Cup in Russia is an invitation to the world’s media to investigate every hint of corruption during preparations for the championship. The awarding of media rights and sponsorship packages, fairness of construction and infrastructure bids, impact of social dislocation and environmental damage will all come under public scrutiny – at least abroad. Meanwhile, the chance for Russian business to operate on the basis of the best international standards, and for the state to relax its hold on small business and diversify the economy, will all contribute to cutting corruption – the main obstacle to Russia’s modernisation. The benefits of the World Cup go beyond opportunities for Russia to accelerate its integration into the world economy. 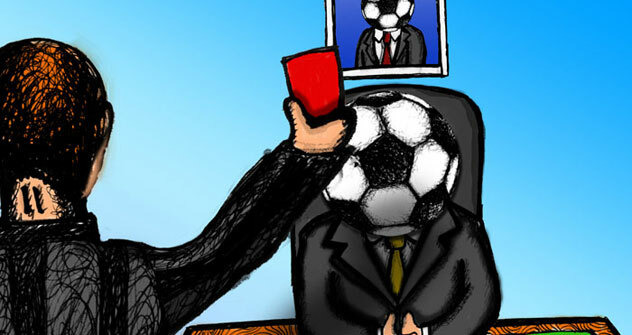 As the world’s football fans arrive in Russia in June 2018 without having had to apply for a visa, and descend on the sparkling new facilities of provincial cities such as Saransk, Samara and Rostov-on-Don, it is tempting to hope that Russia will by then have made its way to the top half of Transparency’s corruption index. That would benefit not only Russia but the whole world. Now that’s a goal worth aiming for. Brook Horowitz is head of governance and anti-corruption programmes and executive director for Russia at the International Business Leaders Forum.